GREAT FLOOR PLAN in this home that is overlooking a lovely pond with a fountain at the Lake Wales Country Club. 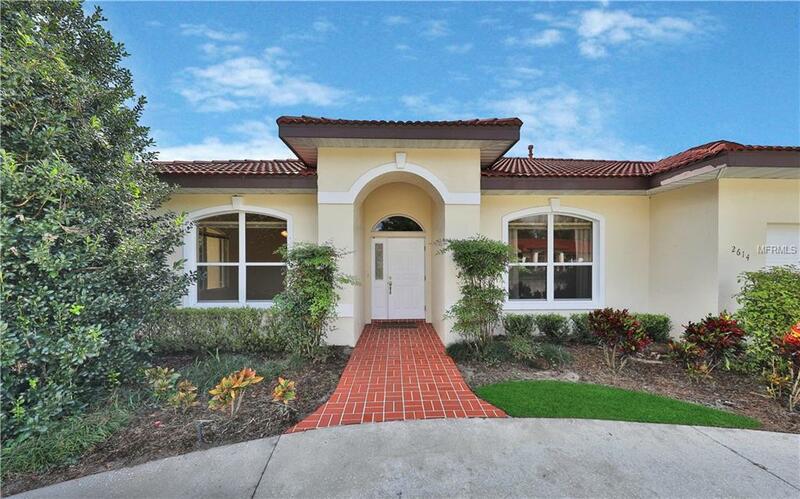 A circular driveway and manicured lawn welcomes you to this spacious house with 2,189 sq. ft. living. The foyer is open to the formal living room and a formal dining room has access to the lanai alongside the pond; the kitchen and family room, with casual dining space, also opens to the lanai creating a gracious flow to this homes design. Cathedral ceiling heights and large windows give volume and plenty of natural light. The split bedroom concept allows the master suite an abundance of space and a large bathroom with garden tub has a separate shower stall and the master walk-in closet has great organization. The other bedrooms share a full bath and a half bath is available to the living areas. This home has an exceptional utility room with plenty of storage space and a sink. A beautiful community area is nearby and offers a cabana and heated swimming pool. This is your opportunity to enjoy a spacious home in a desirable country club setting.